MENTOR offers a comprehensive range of electromechanical components as Surface Mounted Devices (SMD) or using Through-Hole Technology (THT). 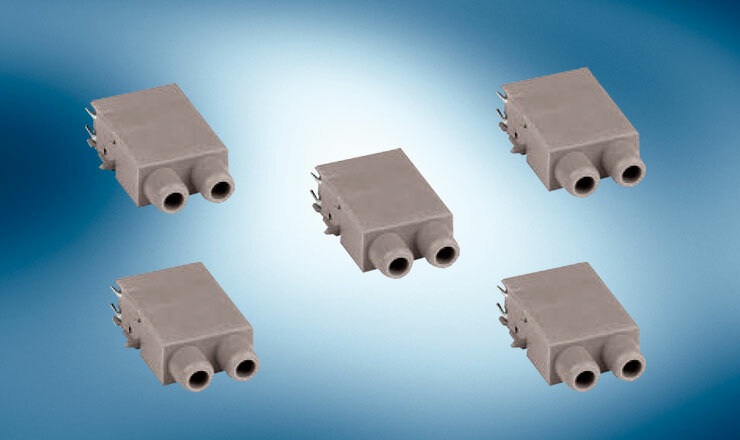 Reliable, durable and versatile, they are the result of decades of experience in the development and production of components for a wide range of applications in industrial electronics. Functionality, processing efficiency, thermal stability and, of course, compliance with relevant standards and regulations are the focus of MENTOR's product development. Many standard products are available ex-stock with low MOQs. 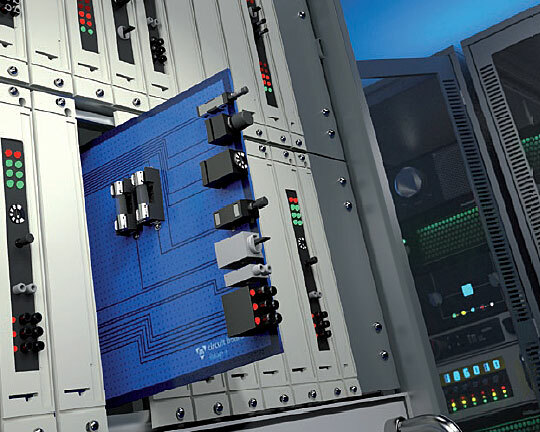 MENTOR's Toggle Switches are designed for high production throughput rates and the clever solder tag design ensures high-quality soldered joints. This range of general-purpose THT Switches from MENTOR includes a wide choice of toggle switches and slide switches, plus a family of miniature key switches. 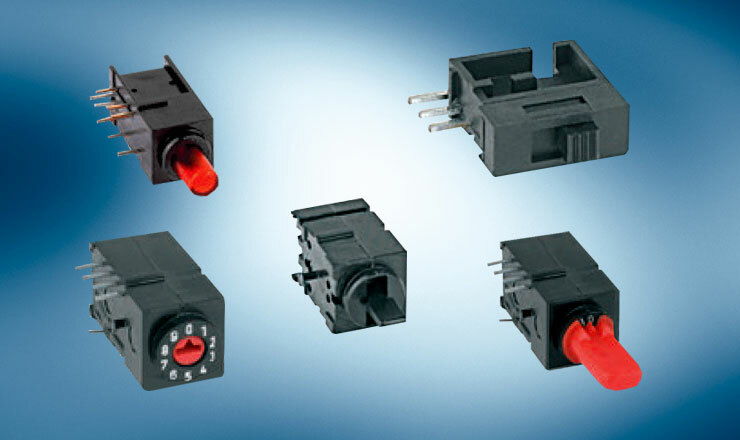 These Pushbutton Switches provide high switching reliability and a long service life. Different stroke and alternative operation forces are offered. MENTOR's THT Pushbutton Switches are available with or without LED status lamps and provide high switching reliability combined with long life. MENTOR's smallest component is the SMD bridge. 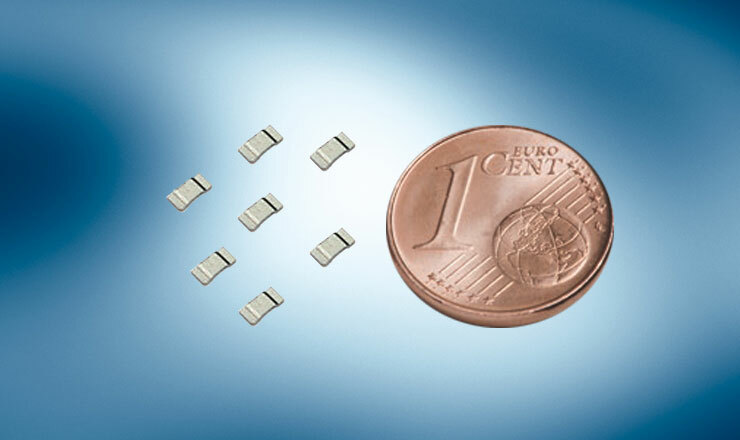 It is supplied tinned and has a wide range of applications eg as a 0Ω Resistance or as a Service Bridge. 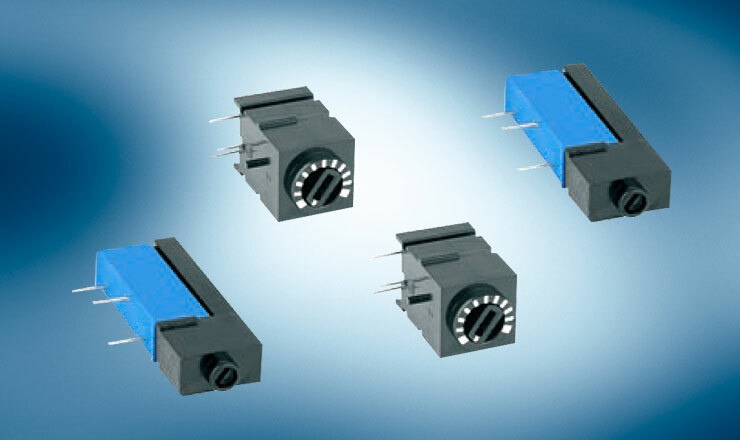 Two types are offered - a Cermet potentiometer with infinitesimal rotation through 260 degrees and a potentiometer with a nominal 15 revolutions of rotation. This Ø2 mm test socket is designed for use in front panels. It has a proven track record of high reliability and long life. The test voltage is 1,000V / 50Hz. 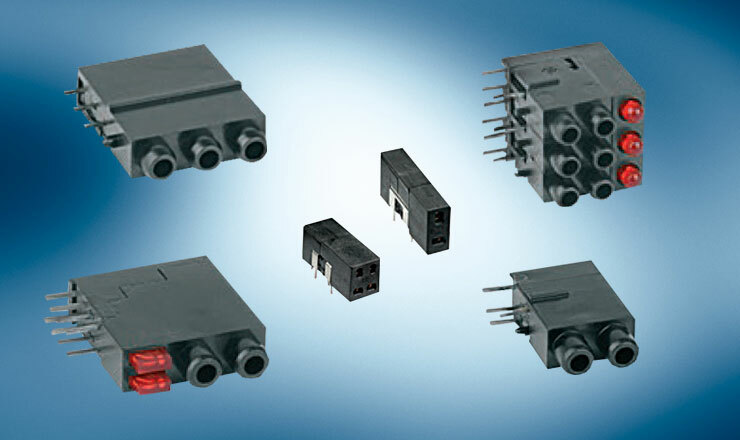 MENTOR’s THT Test Jacks and Test Switches are suitable for Ø2mm and Ø4mm connectors. Another range is similar to DIN-41616. 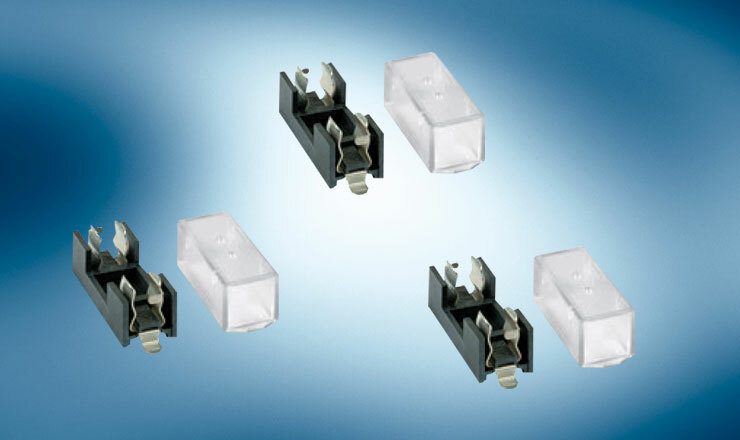 This fuse holder is designed for use with 5x20 mm G-fuse links. Additional fixing can be achieved by installing a securing screw through the centre of the housing. 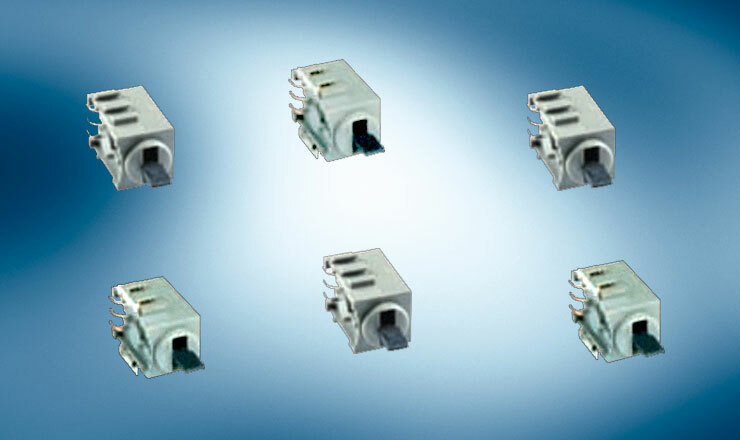 One range of MENTOR fuse holders is designed for use with G-fuse links. 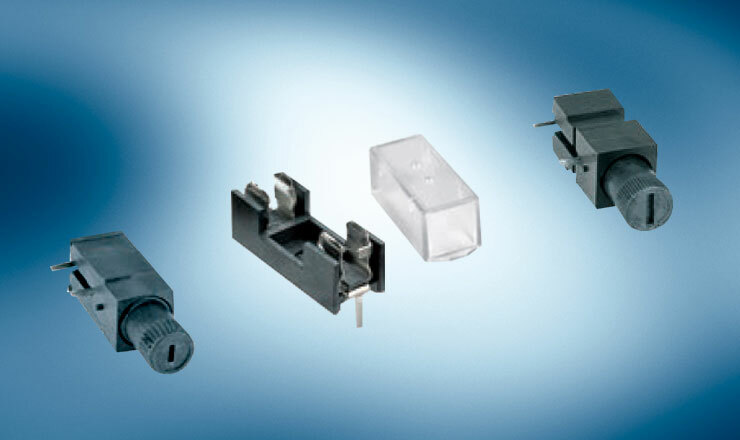 Other ranges include screw-type and bayonet-type fuse holder fixings.